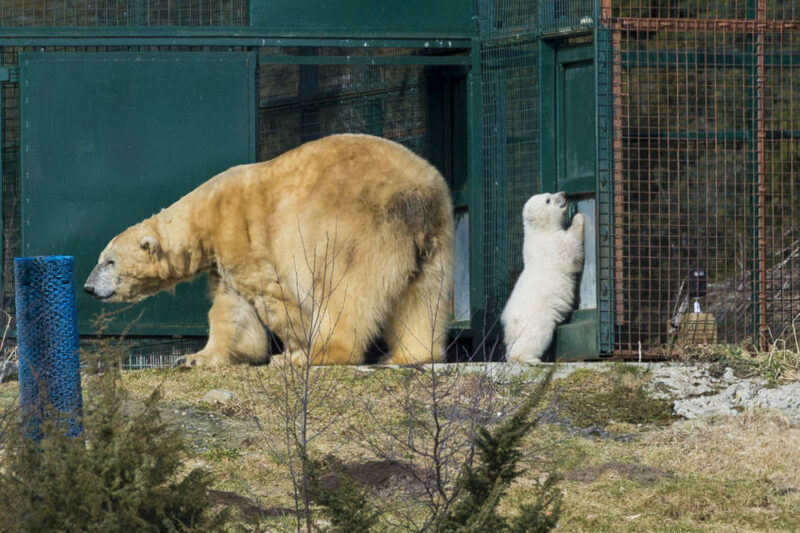 Born in December, the cub has taken its first steps into the park’s outdoor enclosure, which has been closed to the public to allow mum Victoria the privacy she needed. 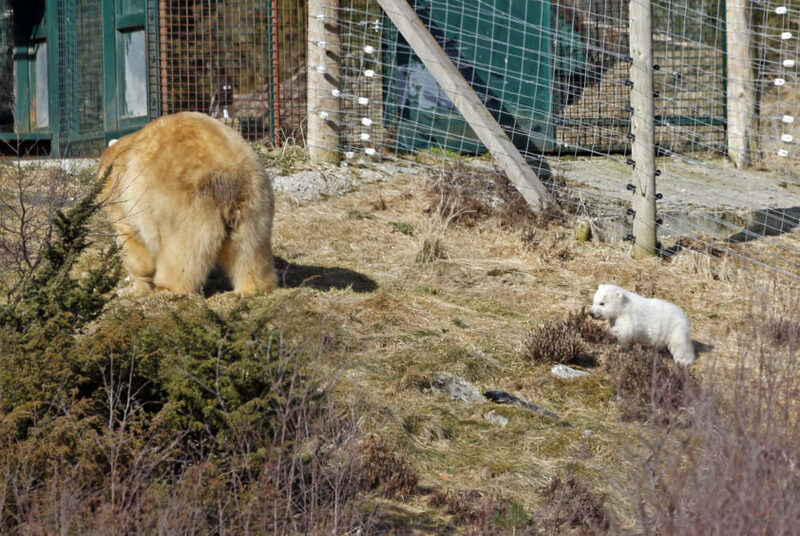 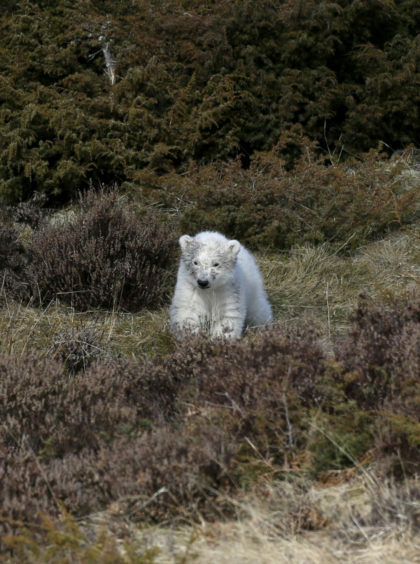 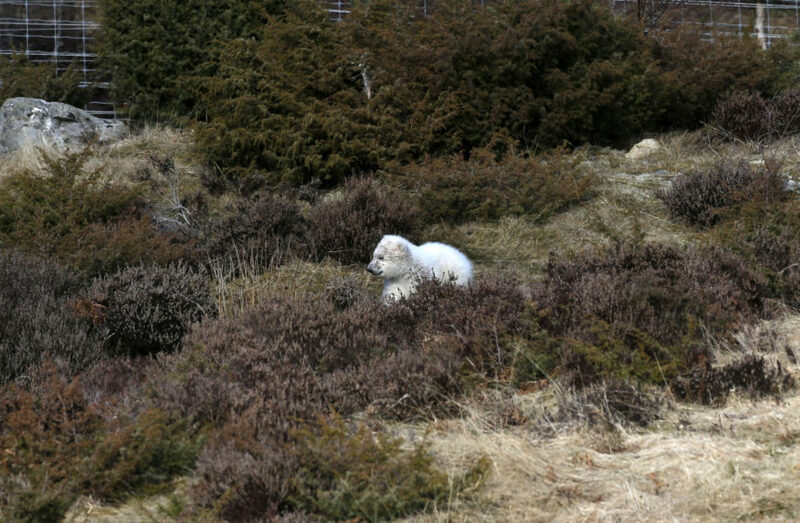 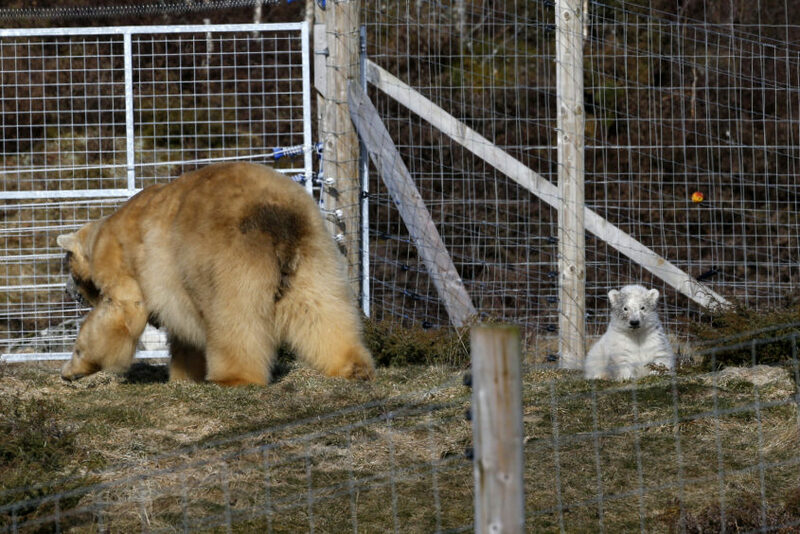 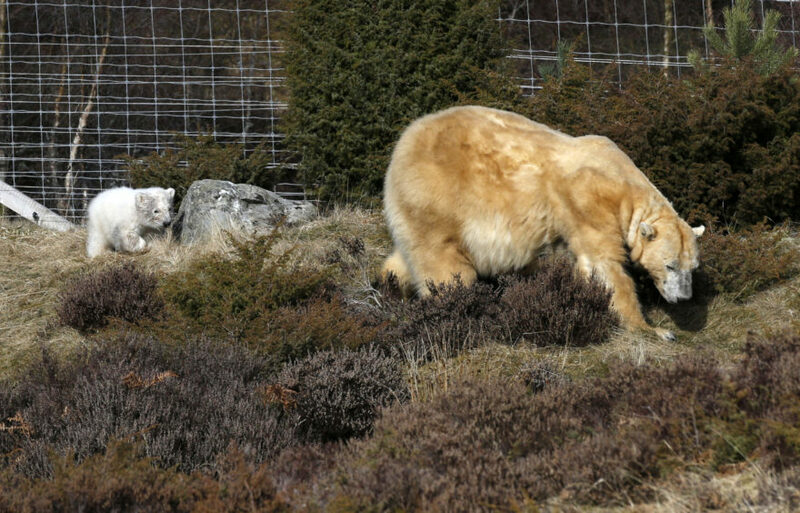 Staff at the park, at Kincraig, near Kingussie, are advising visitors that the cub may only be visible for small periods of time to begin with. 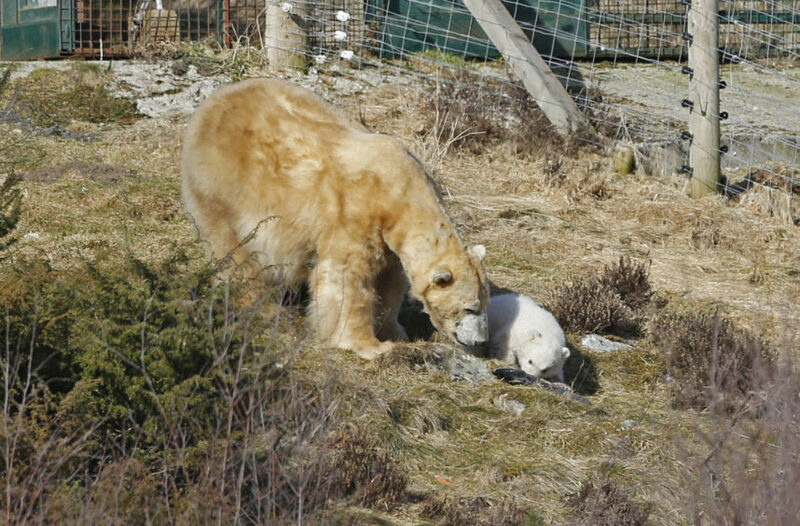 Una Richardson, head keeper, said: “Having spent four months in her maternity den, Victoria quickly took the chance to go outside. 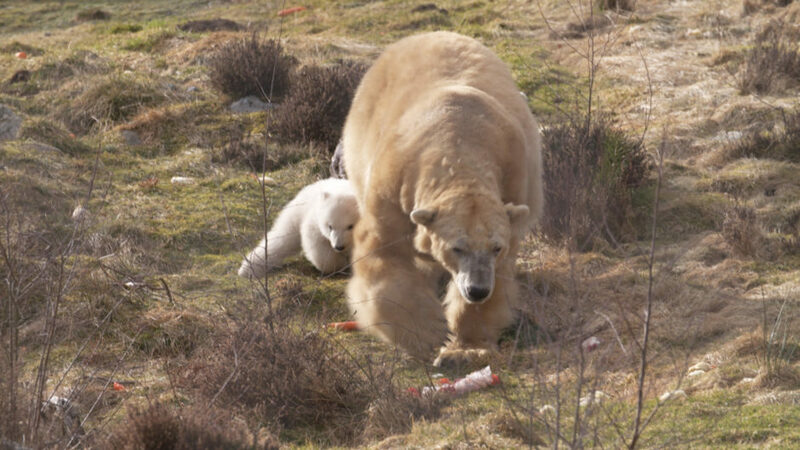 Understandably, her cub has been more cautious and is still getting used to new sights, smells and sounds. 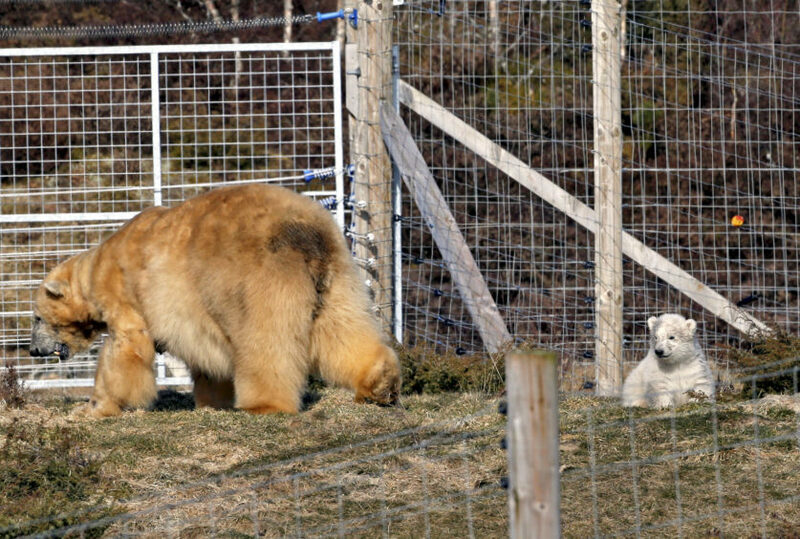 “While the cub will become more confident and start to explore the large enclosure with Victoria, this will take time and they will always have access to their den for peace and quiet. 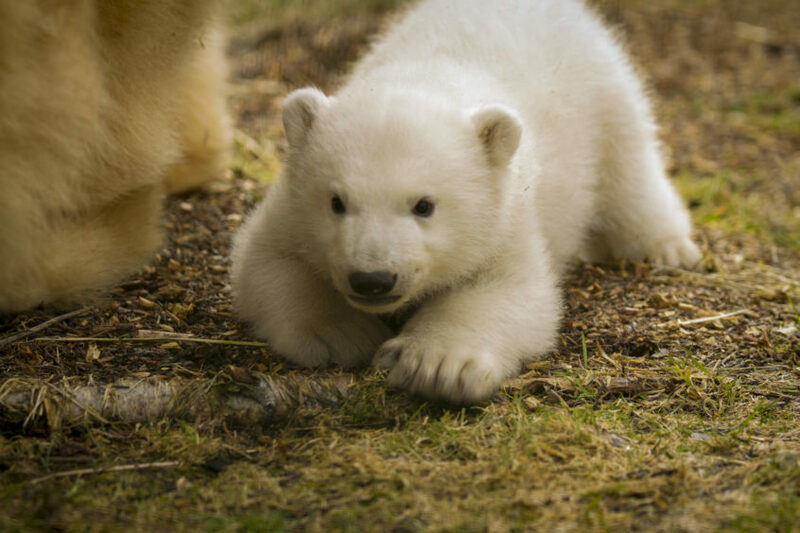 There is no guarantee all of our visitors will see the cub at this early age but they may be lucky. 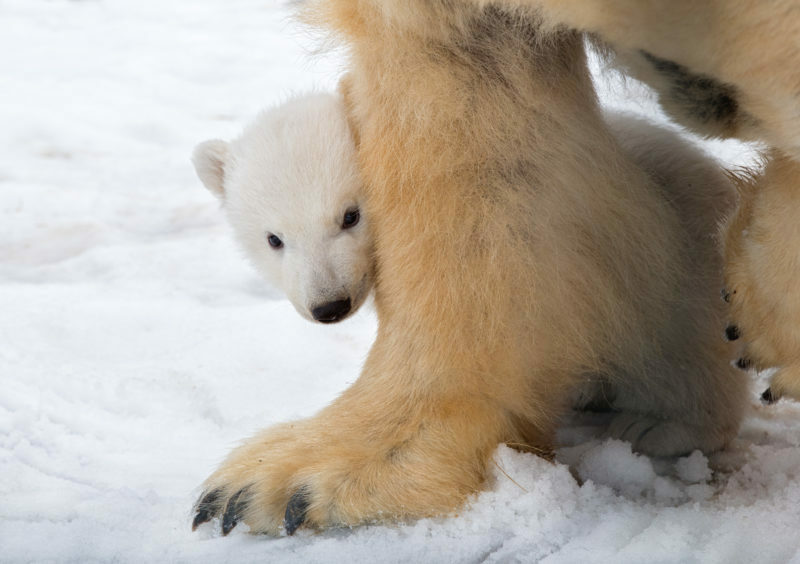 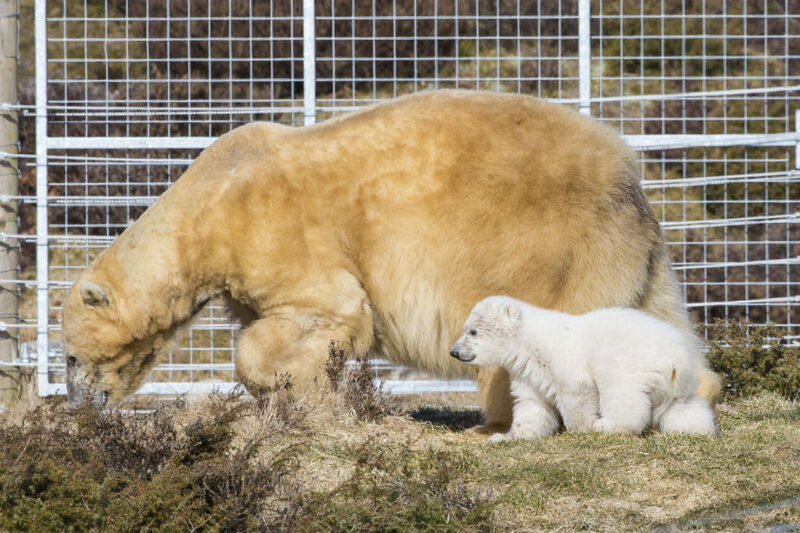 Douglas Richardson, the park’s head of living collections, said, “Our pioneering captive polar bear management programme closely mirrors what happens in the wild and this birth shows our approach is working. 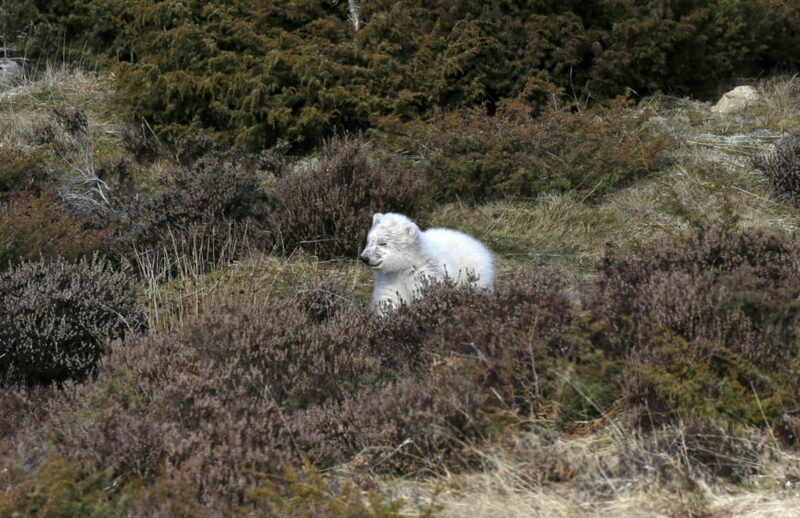 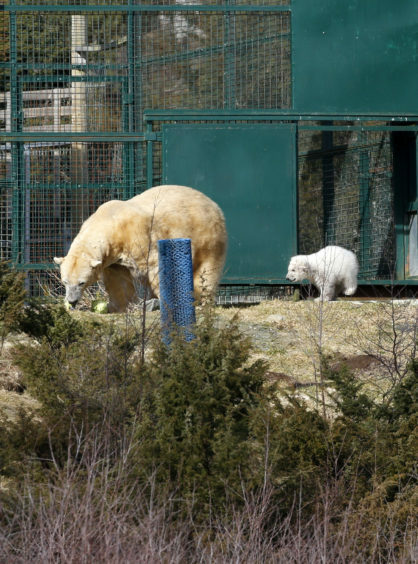 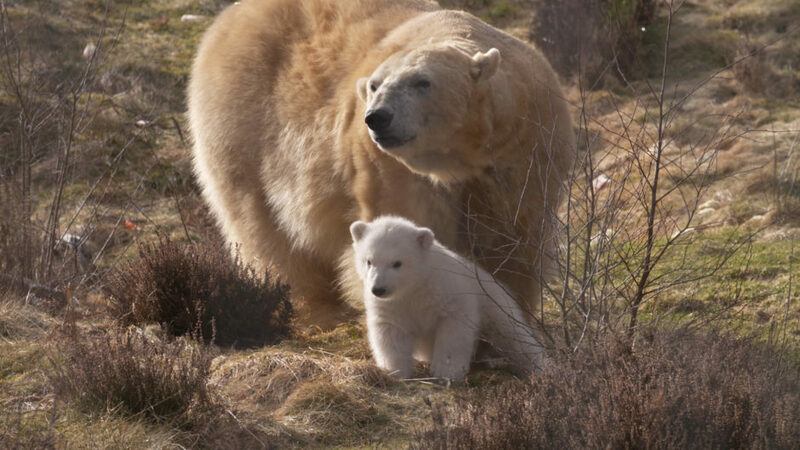 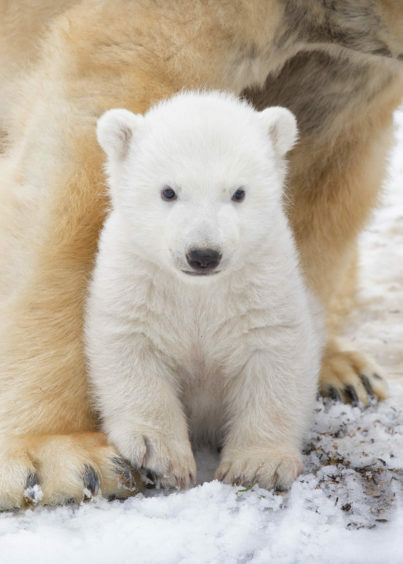 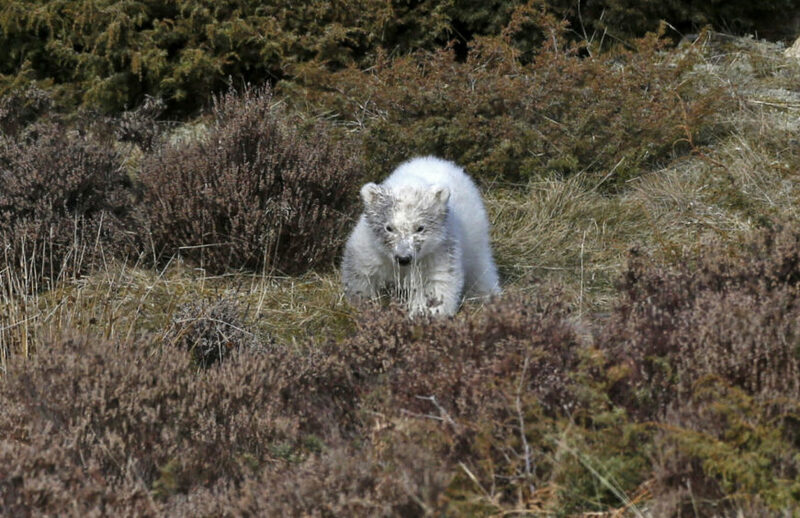 Chief Executive Barbara Smith said, “The birth of the first polar bear in the UK for a quarter of a century is a huge achievement for the Royal Zoological Society of Scotland and the team at our Highland Wildlife Park. 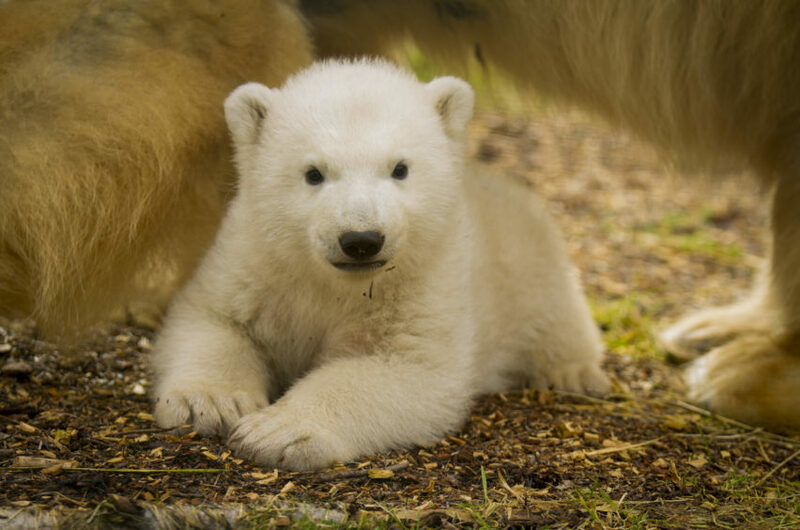 Staff at the park expect to discover the cub’s gender in April or May, when health checks will be possible.